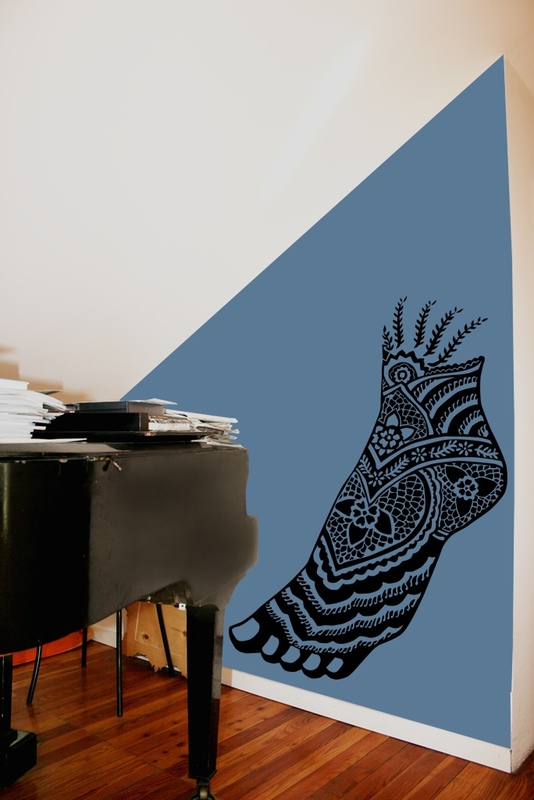 Indian foot - around the world - Wallstickers - Adesivi da parete by Silviastickers.com - I coloratissimi Wall Stickers firmati Silvia Massa Studio. Composizioni originali di Wallstickers, Adesivi Murali per grandi e bambini. The sale is temporarily suspended. We apologize for the inconvenience. Tatuaggio murale di ispirazione indiana indicato per nails e beauty shops, hair stylist.